We carry pool products in the Mooresville, NC area from quality suppliers and have everything you’re looking for and more! Pool Products in Mooresville – When you shop for pool products, finding exactly what you’re looking for is easier said than done. Fortunately, you have us at S & H Pools to help you out. At our store, which serves the Mooresville, North Carolina area, we carry pool products from quality suppliers and have everything you’re looking for and more. Swimming pool heaters are available to install in all sorts of pools to help maintain the ideal water temperature. We have tons of different swimming pool liners and covers for you to pick from and can help you make the right choice for your Mooresville, NC area pool. If you are looking at swimming pool pumps for your outdoor pool in Mooresville, we are available to help you every step of the way. 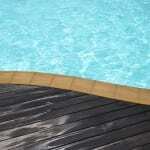 We have all the swimming pool supplies you might need for your Mooresville, NC area swimming pool. With many options and many more brands to choose from, we can help you choose the perfect swimming pool vacuums in Mooresville.